Hope last night you guys must have enjoyed a lot, me too. 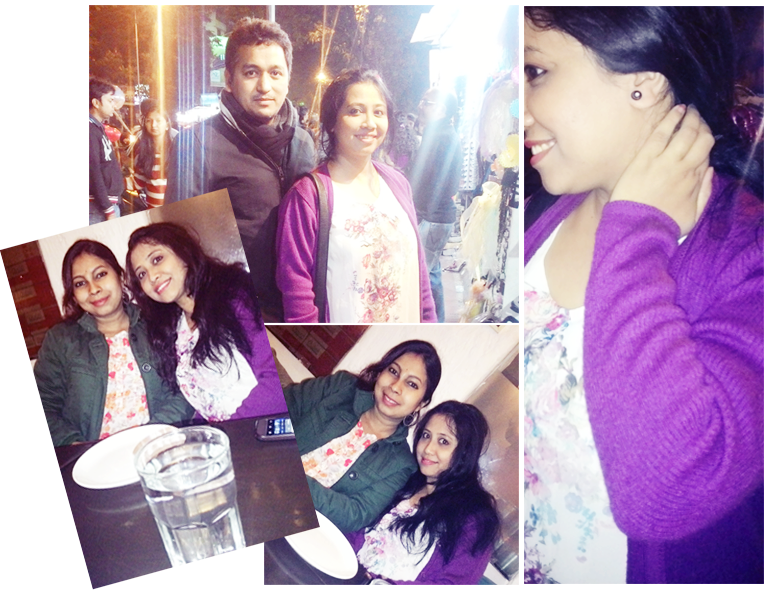 We (me, my husband, our friends Abhijit, Sangeeta and Bittu ) went to F.C Road (Fergusson College Road) which is the most happening place in Pune. The street was crowded mostly with young college-going students. Lighting was not so much but everything seems to be very beautiful. We were loitering here and there and after some time took tea from famous ‘Tulshi’ shop. I felt I should buy something. How can I go home without taking a single thing? So I brought a small ear top worth Rs 20. F.C Road is the best place for roadside shopping. There were lots of options for shopping various kinds of things like Clothing, Accessories, One Piece, Punjabi, Gown, T-shirt, Bags, Wallets, Jewellery, Shoes, Scarves and Stoles, Shoes etc, which were mostly for Ladies. At F.C road, you can wind up your shopping sprees with some yummy snacks; where a lot of options to choose right from small road side stall to cafes and restaurants. 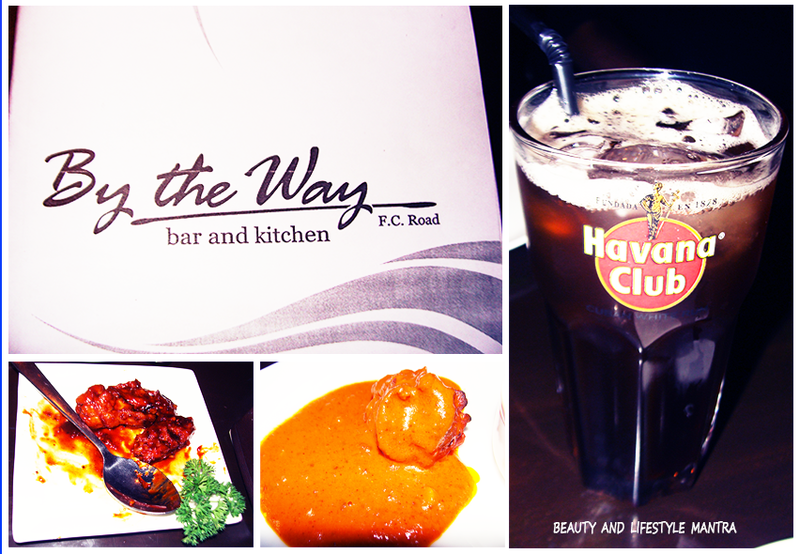 At last we have decided to take dinner at F.C Road. That’s why we went the famous restaurant ‘By The Way’. It was my first time visit. The restaurant ambiance was awesome decorated with small light and candles. Now it's time to order. As a starter, we ordered chicken manchow soup, chicken spicy fry. For main course we ordered a chicken dish, dal makhani, garlic naan, roti and prawn biryani. Dal makhani was very tasty. The rest of the foods were average. Now you're waiting for something to make fun at 31st night.